It is not often that you find a magazine that is good. And with good, I mean, like, really fricking awesome. 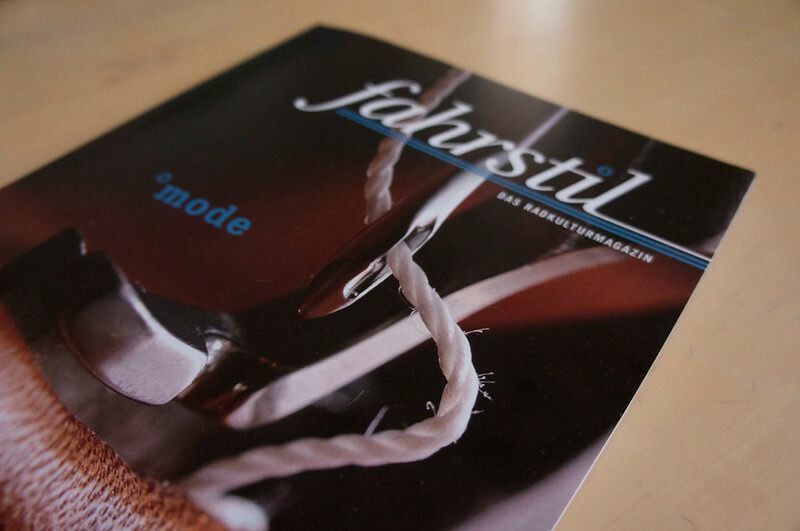 fahrstil is such a magazine. 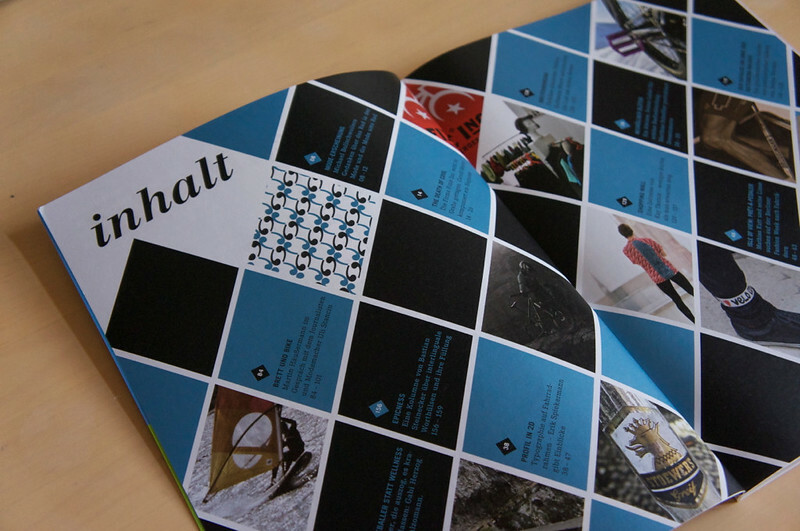 I found out about fahrstil because Cass has a feature in this issue, and posted on his blog about it. As I put in an order for a set of Porcelain Rocket frame bags, I was curious to read it, and was utterly surprised by the high quality of the whole magazine. 160 pages thick, of which an estimated five were ads, it is full of epic content. Content which is interesting, well-researched, thought-provoking, humours. In short: Epic. Each issue is dedicated to one theme - issue seven here in front of me is dedicated to mode, or fashion in English. Erik Spiekermann talks about bicycle logos of the past & present, there's an article on the trend of Fatbikes (and it seems the fahrstil staff read Toni's & Peter's blogs, as they're mentioned in that article! ), the end of Fixie Inc. and much, much more. And if you follow The Week in Review and take a look at the contributors of the issue, you will find a few familiar names. You pay 15€ for epic content with little ads, printed on high-quality paper. I liked issue seven so much that I back-ordered the previous six issues, and will take out a subscription. Buy your copy online, or check out the brick & mortar shops which have it on the shelf. You won't be disappointed - except if you are not able to read German.